There in the shimmering green water lay four big oval shapes like a giant's carving dishes. They were patterned in brownish green and had five handles. 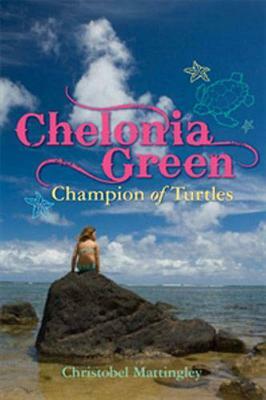 Suddenly the handles stirred and the giant's carving dishes began to move!Chellie was very small when she first saw the beautiful green turtles with the scientific name so close to her own. Every year she would watch them swim in the sea and make their long journeys up the beach to lay their eggs. But one day, Chellie makes a grim and horrible discovery, a discovery that turns her life upside down and forces her to act.